July’s Prime Day sale is over, and September’s Labor Day savings are still ahead. So what deals happen in August? Before you hit stores or the web for some end-of-summer shopping, here’s your go-to guide for what to buy (and skip) this month. First up on your August shopping list should be school supplies. Classroom products hit store shelves in July, but sales will be better in August — particularly as the beginning of school approaches. 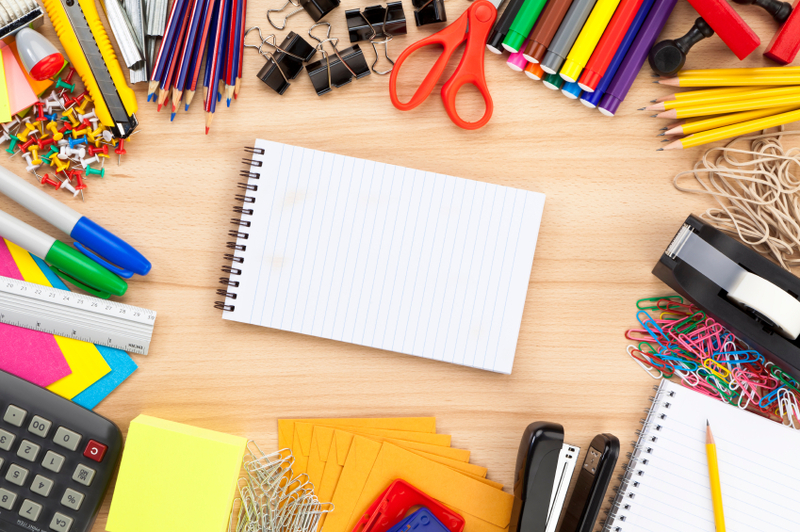 Look to back-to-school sales at department stores and office supply chains for deals on backpacks, pens, pencils and other essentials. And as with any sale, remember to apply relevant coupons and coupon codes. If your state participates in a back-to-school state sales tax holiday, use that window to buy some supplies tax-free. Texas residents, for example, can make eligible clothing purchases (less than $100 per item) free of sales and use taxes from Aug. 10-12. For a full listing of participating locations, as well as dates and details for your state, see the Sales Tax Institute. In July, Amazon hosted its fourth annual Prime Day sale, and there were deep discounts on products like clothing, electronics and vacuums. The deals on Amazon devices were especially impressive. For example, the Echo Look was $99.99 ($100 off). The Amazon Cloud Cam was $59.99 ($60 off). The second generation Echo was $69.99 ($30 off). Based on past sales, it’s likely we won’t see Amazon device discounts close to this level again until Black Friday in November, so you may want to hold off until then. With summer coming to a close, you probably aren’t planning on doing much work in the backyard. That’s exactly why outdoor maintenance products will reach low price levels in August. Buy these items now so you’ll be prepared for next year. If you need a new lawn mower, for example, take advantage of the deals you’ll find over the next few weeks. Skip appliances and mattresses, at least until the last day or two of the month. Labor Day is renowned for its mattress, appliance and home decor deals. Last year, Lowe’s took up to 30% off major appliances, and Bear Mattress offered $100 off any size mattress online with a coupon code. Price cuts reached up to 70% at Wayfair. » MORE: When is the best time to buy appliances? As autumn draws near, it makes sense to want to add some sweaters and sweatshirts to your wardrobe. But think again before you swipe your card. Prices at the start of any given season are generally higher than at the middle or end, so the price tag on that comfortable sweater you’re eyeing might not make you feel so warm and fuzzy. On the flip side, now’s a perfect time to purchase summer clothing, shoes and swimwear. Since the warm season is coming to a close, retailers are trying to clear out old inventory to make room for winter weather necessities. If you’re going to buy any clothes this month, you’ll be able to save more on summer staples than winter gear. And although the date hasn’t been announced yet, resort-wear brand Lilly Pulitzer typically hosts its twice-annual After Party Sale in August, too. Pump the brakes on a new iPhone purchase for just a little while longer. Rumors are swirling that Apple is gearing up to release its new iPhone (or iPhones) as early as September. If that’s true, a new iPhone release will mean two things. First, there will be a new phone with fancy new features on the market that will instantly render your existing iPhone out of date. Second, Apple and third-party retailers generally drop prices on previous iPhone models in the wake of a new phone, making September a great time for a deal. Great deals this month may be closer than you think: The second Saturday in August is National Garage Sale Day. This year, that’s Aug. 11. Lots of bargain hunters will be looking to sell or buy during this annual end-of-summer event. Look for offerings around your neighborhood and community. And if you’re searching for other days to circle on your calendar, we have two more. Aug. 6 is National Root Beer Float Day, and Aug. 24 is National Waffle Day. Expect plenty of food freebies.